In 1790 the British physician John Hunter first introduced gastric intubation as an artificial means of feeding a paralyzed patient (1). During the last century William Beaumont’s classic studies of gastric juice led to further utilization of such tubes in the analysis of digestive functions of the stomach (2). 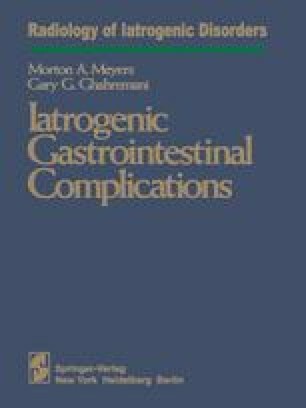 More recently, however, technical refinements have made gastrointestinal intubation a routine procedure in medical and surgical management of many abdominal disorders. The principal application of this technique is in intestinal decompression in patients with obstructive symptoms or paralytic ileus (3,4). Flexible tubes are also placed into the gastrointestinal tract for various other diagnostic or therapeutic purposes, including alimentation with liquefied food (5–7), hypotonic duodenography, enteroclysis, gastrointestinal secretory tests, and mucosal biopsy (8–13).